I have been a Domestic Light Beer drinker my whole life. My go to is and most likely always will be a frosty, ice cold Coors Light. When those mountains turn blue, everything is good to go. But, I have also been trying to expand pallet by trying some new beers and varieties. 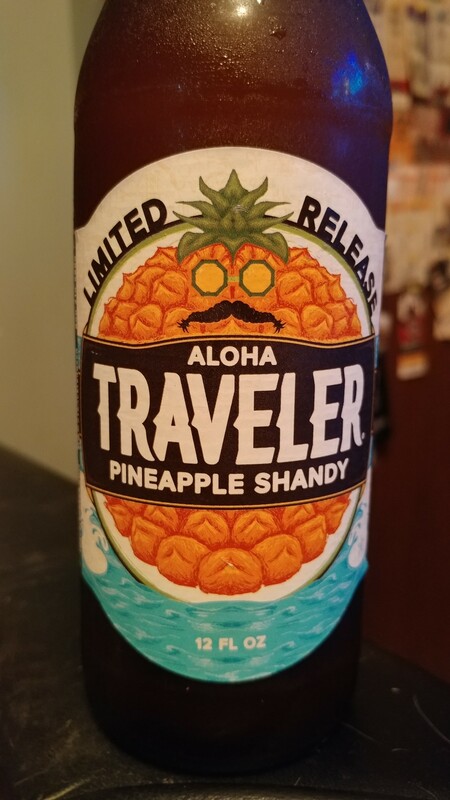 This week I picked up a 6 pack of the new Pineapple Shandy by Traveler Beer Company. I dug this beer. The Pineapple / citrus flavor isn’t to overpowering and it isn’t overly sweet. It is for sure one of those beers that need to be ice cold to be fully enjoyed. It is a nice Wheat Ale that isn’t very heavy. I wouldn’t want to drink them all night long, but for a couple on a hot afternoon they are great! Have you tried craft beers? Once you do, you likely will not go back. My Minnesota favorite is Hop Dish from Lift Bridge in Stillwater. I can’t drink the fruity domestic beers. But someone has to…I suppose. Have not tried Brotherhood. I usually pick up a sampler pack of craft beers. But then I can’t remember later which I like and which I don’t. But I do especially like the IPAs. I have that same problem. We go to all these beer shows now where they have so many different vendors with so many different beers that by the end of the day you have no idea what you liked anymore!